**I did win this book for free through the Goodreads first reads contest**I have to say it did take me a little bit to get in to this book and to understand how the narrator is telling the story, but once I did, it was a great read! I loved how he was able to tie in really simple things as evidence that it was not a suicide, things that I would have never thought twice about.There is one main character Ben Fitzgerald, and I didn't really connect with him at all, I was able to follow the story the way that he as telling it etc, but nothing about his personality really drew me in to him at all, I was not able to make that connection on the human level. 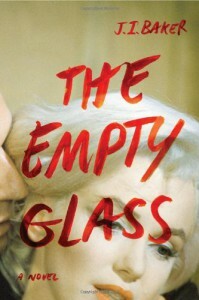 The second sort of main character is Jo who is a reporter of sorts, I also found it very difficult to her and to understand where her motivation for finding the truth was coming from.In the end I only gave this book a 3 out of 5 stars as there was a lot of disconnect from the characters, however, the actual story and all of the controversy surrounding Marilyn Monroe's death is very interesting to read about! I would highly recommend this book to anyone who has an interest in Marilyn, or anyone who enjoys conspiracy theory for sure. Also there is a lot of events in this book that happen to him because he is trying to seek out the truth behind her death, and that made the book a little exciting as well as you did not know where it was going to go next in that aspect.